Spiritual seekers often say that finding Unity is like coming home. 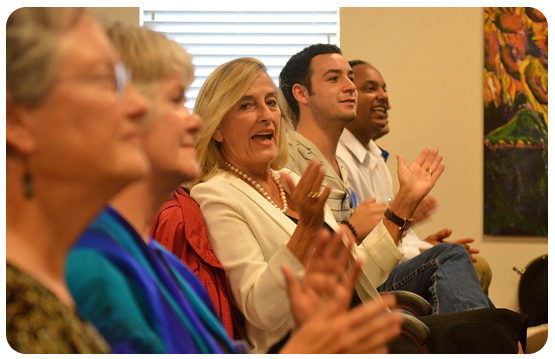 Unity of Santa Rosa is an inclusive and loving spiritual community that honors all paths. In Unity we teach that God is spirit, the loving source of all that is. We seek to apply the teachings of Jesus, as well as other spiritual masters. Unity affirms the power of prayer and meditation, and helps people experience the Divine potential and purpose within. We emphasize the practical, everyday application of spiritual principles and offer tools for living more abundant and meaningful lives. Unity is committed to supporting you on your spiritual path. In addition to our Sunday Services , we offer a variety of classes, workshops and events. We hope you find a home here at Unity of Santa Rosa. Reverend Margaret Flick is our minister emeritus. She believes that prayer, gratitude, compassion and an open and receptive mind are prime ingredients for a heart-centered, thoughtful, peaceful and joyful life. Click here to read her inspirational words. Find out how you can contribute to our Capital Campaign to allow us to own our building free and clear, providing a strong and secure future. By opening to the possibility of this miracle, we open the gate to the path that will take us there.